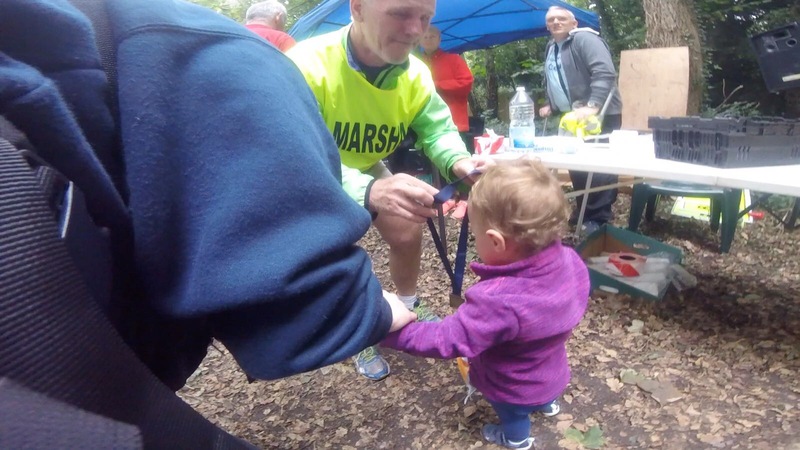 ‘She’s such your daughter’ I was told by the GingaNjnja as UltraBaby moaned at the start line of the Chislehurst Chase fun run. 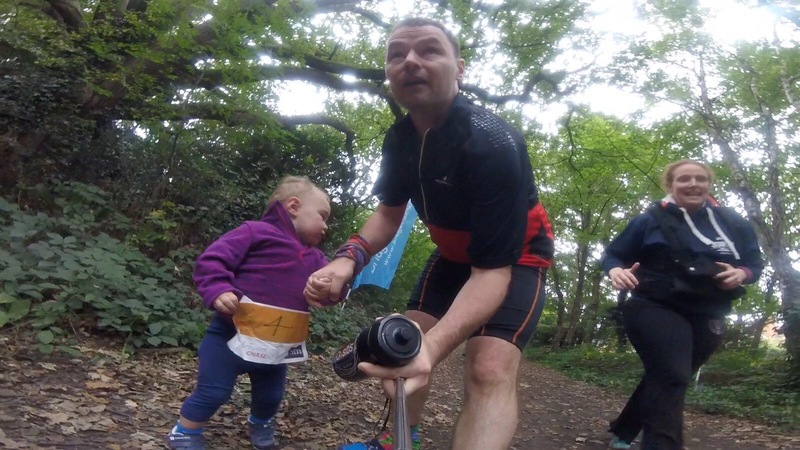 The Chislehurst Chase Fun Run is a 2km loop around the edge of Scadbury Park in Kent and I had determined that this would be UltraBaby’s first run powered by her nothing but her own little legs – UltraBaby had different ideas but being a pushy parent I insisted. 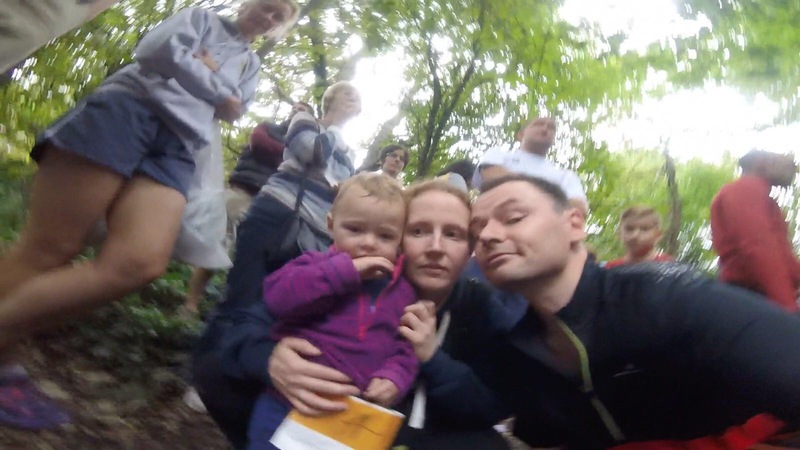 Therefore, after the conclusion of the 10km race both the GingaNinja and I lined up alongside our daughter. 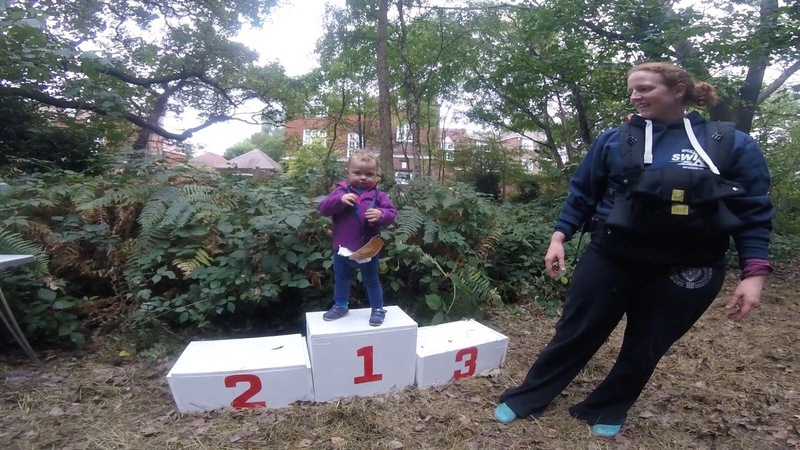 The previous day I had purchased for her a pair of little Decathlon running shoes and a hiking t-shirt, fleece and leggings (running kit doesn’t come in baby sizes) and she looked the business apart from the fact that the race number was as big as her entire body. 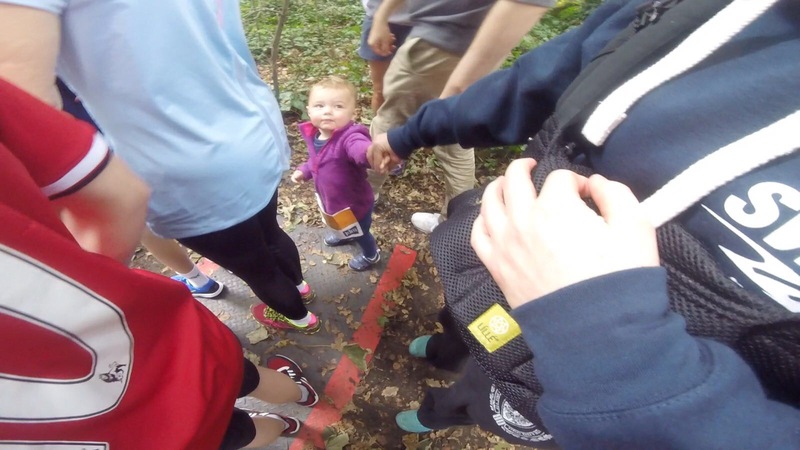 When the horn blew all the children leapt into action but UltraBaby was a little overwhelmed by the numbers and so as responsible parents we pulled across to the side to let the majority slip ahead and give UB the opportunity of some air and to calm down. With the route clear we set off pushing as hard as we could through the mostly runnable trail. UB bimbled along at her own happy pace and despite some protests we made the first of the two kilometres in a little over 16 minutes. At the second half turning point, with the bike riding sweeper in tow, we came up with a plan to make this a more enjoyable experience for everyone – dinosaurs! 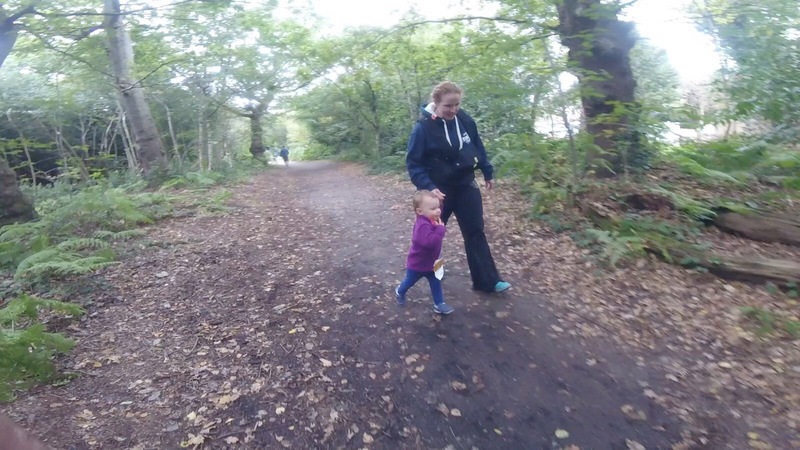 ‘UltraBaby!’ I called out ‘Can you see the dinosaurs?’ Well UB loves a dinosaur but they were hiding just out of sight and every time she ran to the tree they were hiding behind they disappeared again. With each roar the dinosaurs let out UB became more excited to find those little blighters. This worked for most of the final 1000 metres and we pushed on until she could see the finish line and the adoring crowds, all of whom offered ferocious cheers as she crossed the line in a respectable 30mins 16 secs (not bad when you consider the three minute start line crying episode) and there was even a hint of a sprint for the finish line – I was so proud! At the finish her medal was put on by one of the organisers and UB paraded around the finish area showing everyone her 6th medal like it was Olympic Gold! 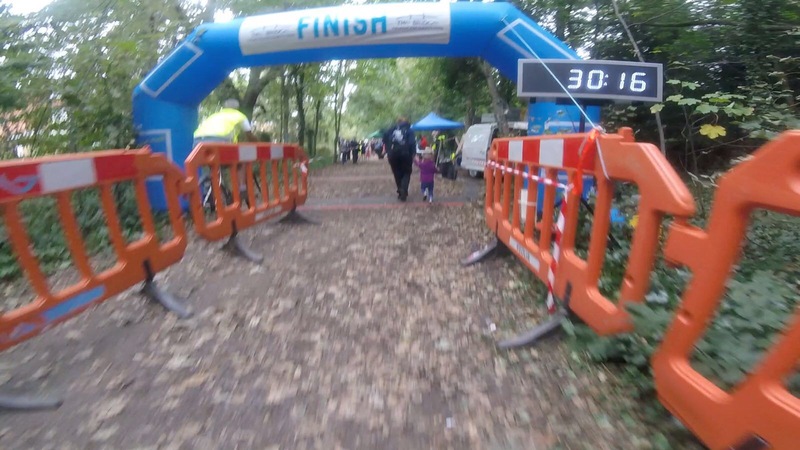 Well done UltraBaby and thank you to the race organisers Bridge Triathlon – keeping the Chislehurst Chase and it’s fun run going is a great thing.